From the time you are born you are creating the movie of your life. What’s your movie like? Is it a drama? Comedy? A romantic film filled with love? A serious documentary? Is it full of art & passion? Is it like The King’s Speech where you triumph over challenge or like Black Swan full of internal struggle and finding your dark side? Regardless of the current theme you are creating this movie every day with your choices. You are the producer, director, costume & set designer, cinematographer AND the star! You can adhere to the script or decide to change it. It’s all up to YOU the star! Your life is of great value. YOU are important and MATTER to your film. 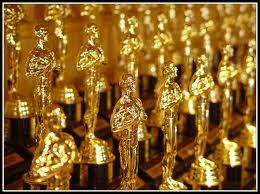 Your stellar performance in the film is deserving and worthy of the much sought after Oscar! In your life, it is YOUR choice what part you’d like to play. Will it be a supporting role taking a back seat to the star? Of course not! You ARE the leading man/woman! You get to make all the decisions and one of them is living and being who you are. The most authentic starring role comes from within you. Bring out and live your truth, your heart and your passion. Debra is a gifted clairvoyant reader, spiritual healer and intuitive coach providing insight and guidance to clients around the world. Based in Chicago, Debra also leads meditation workshops that help people awaken to their own truth and spiritual gifts. To schedule a session or for more information on readings and workshops please visit her website or send an email request to Debra@SpiritLightInsight.com . Next Post Get your GOAL On!